For some reason, when we think of dog crates, we often have this image of a dog cowering and whimpering in a cage. Crates seem diametrically opposed to our notion that dogs want to run free—however, in the light of their evolutionary history, dogs actually love dark, enclosed spaces when it comes to sleeping and feeling safe. Like the wolves with whom they share an evolutionary link, dogs in the wild would sleep in dens, either dug into the ground, or in small caves, where they can easily conserve their own warmth and be protected from predators and the elements. In the eyes of a modern day, domesticated hound, a crate is just like a den, especially when they are encouraged by their owners to love the crate, instead of to see it as a place of punishment. Not only does a crate give your dog a place to call his own, it gives him a safe, warm spot to sleep in. Even if you leave the crate door open, your dog will enjoy taking ownership of this area, and the more often he sleeps there, the more likely he is to feel comfortable and safe if he ever has to be locked inside. If your dog sees his crate as his den, he will try very hard not to soil it. This means that if you are potty training a puppy and he just cannot seem to get the hang of it, especially at night, a crate might be a good solution to teach him to hold his bladder and that some places are alright to go in, while others are not. It is important to listen to your dog while in the crate however, as whining may indicate that he desperately needs to go to the bathroom. If taught right, your dog will look at his dog crate as his “safe place”. 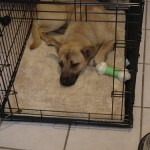 You will find him going to the crate on his own at times to lay, if scared or not feeling well. It it his own area, kind of like your bedroom. In fact, when we send Rosco to his crate, we tell him to go to his room. That is how he knows it, “his room”. Dogs are very aware of our emotions as their owners. When we yell at them, they may understand that we are upset, but they will rarely understand why. If your dog chews on something he is not supposed to chew on or goes to the bathroom in the house, he will understand that he is being punished, but not why he is being punished. 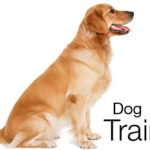 It is important not to use the kennel as a place for punishment, as this will engender fear and confusion in the dog, which will relapse every time he is put in the crate, even if it is just because you are leaving the house. You want to make it a comfortable, normal place to go. Crates can be introduced into the training regimen as early as possible. 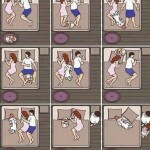 Most dogs are very receptive to crating, as they enjoy having a space of their own and somewhere soft and warm to sleep. If your dog is reluctant to enter and stay in the kennel, a dog treat reward and something that smells familiar can be a great way to encourage him. 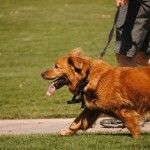 Though it is much easier to start training as a small puppy, you can be successful with an older dog. You might find them a little more reluctant but your dog will come around. The main point is to make it routine and “his place”. If you have children, make sure that they know that the crate is for the dog and dog only. Our youngest used to get in the cage with the dog and the dog didn’t like it because it was supposed to be his personal place to get away from the kids. Amazon has some good deals on dog crates, here are some. Just make sure to get a crate large enough for your dog once it is full grown. Remember, they grow fast! 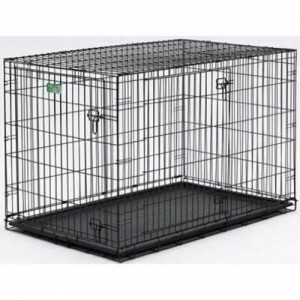 If you are looking for a dog crate, there are many to choose from. From small to large dog crates, to stylish ones. Here we will go over a couple. Ok, like most people (including myself), you might just be looking for a crate on the cheap and not really worried about the looks. This is a good idea if you are not sure if you will stick with (even though I highly recommend doing so!). Cheap dog crates can be found for under $30 online. I suggest doing a quick Amazon search on dog crates <— done for you :). I just recommend making sure you get a dog cage large enough for your dog. Don’t think how big he is now, what is the full grown size? If in doubt, go larger. What you don’t want is for your dog to out grow his cage. This is not fair to him and you will have to break down and buy another one in the future. If you are looking for a stylish pet kennel, look no further than the Merry Products covered crate. Not only is a full functioning dog crate, it can also act as a beautiful end table. With a wooden frame design, it fits cleanly into any room’s design. No longer do dog crates have to be ugly metal eye sores, they can now be a piece of fashionable furniture, a great addition to any room. This specific crate comes in three sizes, for small, medium, and large dogs. With a simple, interlocking design, this crate includes a removable bed area, which can be slid out of the crate for cleaning. While it looks beautiful, its main function is as a crate. As a crate, it will keep your dog comfortable, with plenty of room and stability for even the most anxious or energetic pets. Pet parents around the globe love this crate because it blends right in with the rest of their décor. We all want our pets close to use, and most dogs prefer to have their own space for the night, and this crate provides the best of both worlds, without having an ugly metal cage in the middle of the room. 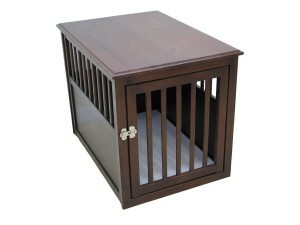 Another great benefit of this crate over other, more generic crates, is that your dog is more likely to feel at home. The paneled top of the crate—which functions as a coffee or end table for you—helps to darken the space and make it feel more like the den that dogs loves. Check out the reviews by every day people here. If you are looking for something durable, stylish, and functional for your hound, the Eco-Friendly Pet Crate Table by Crown Pet Products is the way to go. Available in two colors, this table fits easily into any room and melds with any décor. Unlike the previous crate, there are no wires at all, making it especially useful for any pet who has a habit of bending and breaking out of wire crates. Because dogs best love crates when they are in a familiar space, most people put their wire crates in one of the highest traffic areas in the house. But this also means that you have to have an ugly, cage-like crate in the middle of your favorite room. 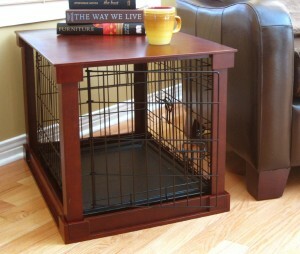 This pet crate provides a simple solution, having the look of a coffee table with all the functionality of a great kennel. Two sizes means your dog, whether large or small, will have plenty of room to move around and get comfortable. Another excellent feature of this crate is the inward-swinging door. Once your dog has become accustomed to his fashionable new home, he will want to enjoy it all hours of the day. You can open the door and tuck it away inside the kennel, so he can nap happily and you don’t have to worry about banging your knees. With eco-friendly and durable construction and materials, one of these crates will make a sophisticated addition to any home. You can find many personal reviews here. I will add more selections in the near future, so make sure to come back. So, what kind of dog crates do you suggest and what do you think it it?